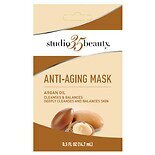 Shop Studio 35 Argan Oil Face Mask (.5 oz. ).5 oz. 3 for 4 dollars and 00 cents or 1 for 1 dollars and 99 cents 3/$4.00 or 1/$1.99$3.98 / oz. 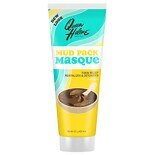 Shop Queen Helene Masque Mud Pack (8 oz. )8 oz. 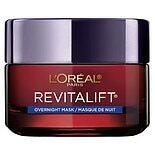 Shop L'Oreal Paris Revitalift Triple Power Intensive Overnight Mask (1.7 oz. )1.7 oz. Shop No7 Total Renewal Micro-Dermabrasion Exfoliator (2.5 oz. )2.5 oz. $1749$17 and 49 cents$7.00 / oz.